One Continous Fight: The Retreat from Gettysburg and the Pursuit of Lee's Army of Northern Virginia, July 4-14, 1863, Eric J. Wittenberg, J. David Petruzzi,and Michael F. Nugent, Savas Beattie Publishing, 40 b/w photos, 18 maps, driving tour with GPS coordinates, index, notes, 576 pp., $34.95. The titanic three-day battle of Gettysburg left 50,000 casualties in its wake, a battered Southern army far from its base of supplies, and a rich historiographic legacy. Thousands of books and articles cover nearly every aspect of the battle, but not a single volume focuses on the military aspects of the monumentally important movements of the armies to and across the Potomac River. One Continuous Fight: The Retreat from Gettysburg and the Pursuit of Lee's Army of Northern Virginia, July 4-14, 1863 is the first detailed military history of Lee's retreat and the Union effort to catch and destroy the wounded Army of Northern Virginia. Against steep odds and encumbered with thousands of casualties, Confederate commander Robert E. Lee's post-battle task was to successfully withdraw his army across the Potomac River. Union commander George G. Meade's equally difficult assignment was to intercept the effort and destroy his enemy. The responsibility for defending the exposed Southern columns belonged to cavalry chieftain James Ewell Brown (Jeb) Stuart. If Stuart fumbled his famous ride north to Gettysburg, his generalship during the retreat more than redeemed his flagging reputation. The ten days of retreat triggered nearly two dozen skirmishes and major engagements, including fighting at Granite Hill, Monterey Pass, Hagerstown, Williamsport, Funkstown, Boonsboro, and Falling Waters. President Abraham Lincoln was thankful for the early July battlefield victory, but disappointed that General Meade was unable to surround and crush the Confederates before they found safety on the far side of the Potomac. Exactly what Meade did to try to intercept the fleeing Confederates, and how the Southerners managed to defend their army and ponderous 17-mile long wagon train of wounded until crossing into western Virginia on the early morning of July 14, is the subject of this study. One Continuous Fight draws upon a massive array of documents, letters, diaries, newspaper accounts, and published primary and secondary sources. These long-ignored foundational sources allow the authors, each widely known for their expertise in Civil War cavalry operations, to describe carefully each engagement. The result is a rich and comprehensive study loaded with incisive tactical commentary, new perspectives on the strategic role of the Southern and Northern cavalry, and fresh insights on every engagement, large and small, fought during the retreat. The retreat from Gettysburg was so punctuated with fighting that a soldier felt compelled to describe it as "One Continuous Fight." Until now, few students fully realized the accuracy of that description. Complimented with 18 original maps, dozens of photos, and a complete driving tour with GPS coordinates of the entire retreat, One Continuous Fight is an essential book for every student of the American Civil War in general, and for the student of Gettysburg in particular. CWL: One Continuous Fight appears to cover extensively the military engagements of the retreat and pursuit; Kent Masterson Brown's Retreat from Gettysburg: Lee, Logistics, and the Pennsylvania Campaign is an excellent and suspenseful presentation on the Army of Northern Virginia, its wagon trains and the amazing fieldworks and bridge that it built at Williamsport, Maryland. Top photo: Eric J. Wittenberg is an accomplished American Civil War cavalry historian and author. An attorney in Ohio, Wittenberg has authored over a dozen books on Civil War cavalry subjects, as well as two dozen articles in popular magazines such as North&South, Blue&Gray, America's Civil War, and Gettysburg Magazine. 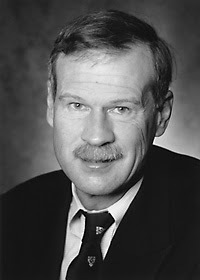 His first book, Gettysburg's Forgotten Cavalry Actions (Thomas Publications, Gettysburg Pa, 1998) won the prestigious 1998 Bachelder-Coddington Literary Award. Middle photo: J. David Petruzzi is a noted American Civil War cavalry historian and author. Petruzzi wrote the historical text for one of the U.S. Army's recruiting pieces for modern armored and air cavalry. He has instructed U.S. soldiers and soldiers of various nations on Civil War era battlefield tactics and their application to modern maneuvers. Bottom photo: A long time student of the Gettysburg Campaign, Michael Nugent is a retired US Army Armored Cavalry Officer and the descendant of a Civil War Cavalry soldier. 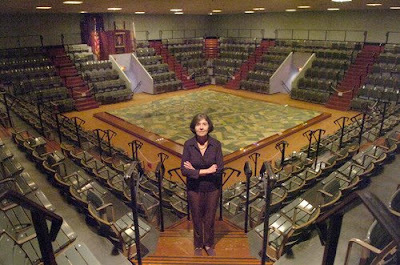 Gettysburg Relics Collector's Descendants Fight To Save Museum's Electric Exhibit, Julie Scharper, Baltimore Sun, March 30, 2008. Two days after the bloodiest battle of the Civil War, a 16-year-old boy named John H. Rosensteel walked onto the battlefield to help bury the dead. He found the body of a Confederate soldier, a boy about his own age, and picked up a rifle lying near him. The rifle was the first item in what would become the largest private collection of Gettysburg relics, as well as a family legacy. Since that day in July 1863, Rosensteel's descendants have acquired and preserved tens of thousands of battle artifacts and shared them with the public. One family member built a museum along the Union battle line in 1921 to house them. Another created the building's famous electric map, which has educated generations about the Gettysburg battle by using colored lights to depict troop movements. Now the museum — which the family sold to the National Park Service decades ago — is about to be razed. A new $103 million museum and visitor center will open nearly a mile away next month. The old site will be restored to the way it looked in 1863 — a quiet spot amid rolling fields. While the thousands of Rosensteel artifacts will provide the historical core of the exhibits at the new center, the electric map might be headed for the scrap heap — a blow to family members, including Emily Rosensteel O'Neil of Guilford, Conn.
O'Neil, the great-niece of the boy who collected that first rifle, doesn't object to demolition of the old museum, but she is fighting to preserve the map, which her father, Joseph Rosensteel, completed in 1963, about a year before he died of cancer. Park officials plan to cut the map — a sloped cement slab about the size of a backyard swimming pool — into pieces, wrap it in plastic and store it in a barn with no definite plans to display it again. O'Neil argues that the map remains a valuable educational tool. "It is just an incredible way to visualize those three days" of the battle, she says. "The actual intent that my father had remains viable and extremely important to so many people." For years, the Rosensteels made their home in part of the museum building, and as a little girl, O'Neil slept above rooms that held cannon balls as big as grapefruits, tattered uniforms and bibles found in the pockets of dead soldiers. She and her siblings roamed the battlefields, ducking behind monuments for games of hide-and-seek. She was in charge of keeping her younger siblings quiet while her father lectured to museum guests. All the children learned his words by heart — particularly the text that accompanied the electric map, which one brother liked to recite at the dinner table. "As a child, I grew up knowing that the most important thing in our family was the museum. Our family life revolved around it. This is our history," says O'Neil, 66, who retired from teaching last year. She taught for 30 years, retiring from Sacred Heart St. Peter's School in New Haven after 24 years there as a pre-K and kindergarten teacher. She and her husband, Tom, moved to Connecticut 31 years ago. They've lived in Guilford for the last 10 years. In 1972, the Rosensteel family sold the map, the museum and the land on which it sits to the National Park Service for $2.6 million. They donated the trove of artifacts — which by then numbered more than 38,000. The family isn't alone in its fight for the map. Kathi Schue, president of the Gettysburg Battlefield Preservation Association, says she first saw the map when she was in fifth grade and later returned there with her own child. "The electric map is a national treasure," she says. "Do you know how many thousands of school kids have seen that map in the past 40 years? The things that they will be most likely to take away from their experience are the monuments and the map." John Latschar, superintendent of the Gettysburg National Military Park, agrees that the map is "an icon of its age," but adds that it is "one hundred percent antiquated." The new museum and visitor center, which will include two movie theaters and 12 galleries, will explain the battle through exhibits designed to appeal to youth accustomed to the Internet and video games, Latschar says. "The electric map concept, which is to orient people to the movement of troops on the battlefield, will be done much better in the new museum," he says. Inside the old museum, the map room itself appears frozen in time. After paying $4 admission, visitors settle into slate gray folding chairs overlooking the concrete relief map. 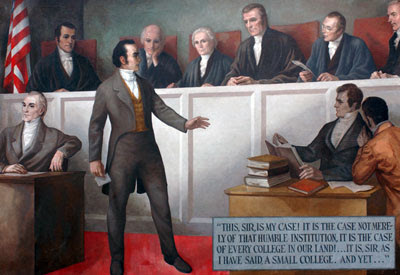 A portrait of O'Neil's father, hangs under the podium where he used to lecture. For decades after Rosensteel's death, a recording of his voice accompanied the presentation, but it was replaced in the 1980s. Rosensteel made an early version of the map in 1939, when he was 25, but wanted to create a bigger and better one for the battle's centennial. O'Neil recalls seeing her father crouched on his hands and knees, plotting dimensions on the map. He labored over recording the voiceover, she says, because he had already been weakened by the cancer that would claim his life. Jim Campi, a spokesman for the Civil War Preservation Trust praises plans for the new museum and visitor center, which he calls "one of the most exciting Civil War projects on the books right now," but says that he hopes a new home can be found for the map. Campi, who recalls seeing the map for the first time when he was a teenager suggests that the map could be displayed at an event commemorating the 150th anniversary of the battle in 2013. "It's antiquated, yes, but it's a great piece of Gettysburg history." The superintendent says that he would be willing to donate the map to a government agency or nonprofit, but so far, he says, no group with the resources to transport, maintain and display the map has stepped forward. The map could not simply be handed back to the Rosensteels, he says, because it's now federal property. O'Neil said the family never intended to reclaim the map but would like a nonprofit to have it and may have one that is interested. The museum will close April 13 and that will be the last opportunity to view the map unless a nonprofit is found, she said. O'Neil said she doesn't understand why the map should languish in storage. "I want the map to remain viable and I will do anything in my power to make that happen," she says. "I feel it's very sad and it's wrong that the map is going to be put in storage. This was my father's creation. This was his masterpiece." Courant Staff Writer Thomas Bieluczyk contributed to this story. Everything about the 145th annual Gettysburg Anniversary Battle Re-enactment at Redding Farm in Gettysburg this summer will be big. The event planned for July 4-6, 2008, on Independence Day weekend, is a “once every five-year” large-scale national event. More than 10,000 re-enactors from across the nation and around the world are already registered, with several more thousand expected. One hundred cannons have been registered since January and more are on a waiting list. At least 400 mounted cavalry will participate. One of the largest and most diverse gatherings of sutlers anywhere will display their historic merchandise for sale. A large living history village and two living history activities tents will provide a multitude of educational opportunities from dawn to dusk. These combined dynamics mean that both visitors and re-enactors will have a seldom-seen and unique opportunity to experience history on a grand scale in Gettysburg this summer. The size of this summer’s re-enactment also required a new and much larger Pickett’s Charge stone- wall at just the right location on the battlefield. The Gettysburg Anniversary Committee staff labored for several months last fall moving 20 dumptruck loads of historic granite fieldstone from a neighboring farm to create the wall. The effort exceeded expectations, resulting in the completion of a 210-yard- long wall with a wonderful historic look. The famous “Angle” has been recreated in the wall’s center. This year, 1,000 feet of historically reproduced five-rail fence, representing the fence on Emmitsburg Road at the time of the battle, will be placed an actual distance of 873 feet from the “Copse of Trees.” Attacking Confederate troops will cover the same distance from Emmitsburg Road to the wall that they traveled on July 3, 1863, during Pickett’s epic charge. The fence was reproduced by the same lumber mill near Morgantown, W.Va., that produces the fencing for the Gettysburg National Military Park. It was trucked to the re-enactment site this past winter. In addition to Pickett’s Charge, five other major battles will be recreated during this three-day event. An explosive Independence Day 145th Artillery Salute with all 100 cannons will take place both Saturday and Sunday. Each day, there will be live mortar fire demonstrations and continuous living history programs, which have become a trademark of this event. The Gettysburg 145th National Civil War Battle Reenactment is an all-day family event. It will stimulate the senses and bring history books alive. “To be both entertained and educated at this unique reenactment is a fabulous way for families to spend Independence Day Weekend celebrating our nation’s history,” said event spokeswoman Andrea Di Martino. Gates open each day at 8:30 a.m. Complete event information and tickets are available at the official Gettysburg re-enactment Web site, www.gettysbsurgreenactment.com or by calling The Gettysburg Anniversary Committee at 717-338-1525. Tickets should be ordered in advance as grandstand seating normally sells out prior to the event. For information on visiting Gettysburg, please contact the Gettysburg Convention & Visitors Bureau at 800-337-5015 or online at www.gettysburg.travel . CWL: Yes. It will be awesome. At the age of four, I began reading (photographs and illustrations only) Civil War history. Diaries didn't appeal to me until 1993 when I saw the 130th Gettysburg reenactment and encampment. I began reenacting in November that year and marched in the Remberance Day parade in Gettysburg on the anniversary of Lincoln's Address. In 15 years of reenacting (infantry, medical service, a bit of artillery and now starting signal corps) it is the small events I prefer. But, the anniversary events like the 145th Gettysburg are one-of-a-kind. There will be a (11th) corps-size group of Union troops and probably two (Third Corps) division-size group of Confederates. That many men under arms and on a dusty road! That experience(the visual and the jangle) when you are in the middle of the ranks is awesome and memorable. I was in the middle of the ranks and marching into the Cornfield at dawn for the 135th anniversary of Antietam. The canon fire. The volleys. Stepping over comrades and the enemy. Now I read the diaries and I am able visualize and hear comrades-in-arms. News---Gettysburg's Electric Map: Is An Icon Of Its Age, One Hundred Percent Antiquated? Two days after the last shots of the bloodiest battle of the Civil War were fired here, a 16-year-old neighborhood boy named John H. Rosensteel walked onto the battlefield to help bury the dead. There he found the body of a Confederate soldier, a boy about his own age, and picked up a rifle lying near him. The rifle was the first item in what would become the largest private collection of Gettysburg relics, as well as a family legacy. Since that day in July 1863, Rosensteel's descendants have acquired and preserved tens of thousands of battle artifacts and shared them with the public. One family member built a museum along the Union battle line in 1921 to house them. Another created the building's famous electric map, which has educated generations of visitors about the Gettysburg battle by using colored lights to depict troop movements. Now the museum - which the family sold to the National Park Service decades ago - is about to be razed. A new $103 million museum and visitor's center will open nearly a mile away on the edge of the Union battle lines next month. The old site will be restored to the way it looked in 1863 - a quiet spot amid rolling fields. While the thousands of Rosensteel artifacts will provide the historical core of the exhibits at the new center, the electric map might be headed for the scrap heap - a blow to family members and some loyal Gettysburg visitors. Kathi Schue, president of the Gettysburg Battlefield Preservation Association, says she first saw the map when she was in fifth grade and later returned there with her own child. "The electric map is a national treasure," she says. "Do you know how many thousands of school kids have seen that map in the past 40 years? The things that they will be most likely to take away from their experience are the monuments and the map." John Latschar, superintendent of the Gettysburg National Military Park, agrees that the map is "an icon of its age," but adds that it is "one hundred percent antiquated." "From an architectural standpoint, it takes up an immense amount of space and we have consistent problems with school kids falling asleep," he said. The new museum and visitor center, which will include two movie theaters, 12 galleries, a museum shop and "refreshment saloon," will explain the battle through exhibits designed to appeal to youth accustomed to the Internet and video games, Latschar says. "The electric map concept, which is to orient people to the movement of troops on the battlefield, will be done much better in the new museum," he says. Emily Rosensteel O'Neil, the great-niece of the boy who collected that first rifle, doesn't object to demolition of the old museum, but she is fighting to preserve the map, which her father, Joseph Rosensteel, completed in 1963, about a year before he died of cancer. Park officials plan to cut the map -- a sloped cement slab about the size of a backyard swimming pool -- into pieces, wrap it in plastic and store it in a barn with no definite plans to display it again. O'Neil argues that the map remains a valuable educational tool. "It is just an incredible way to visualize those three days" of the battle, she says. "The actual intent that my father had remains viable and extremely important to so many people." For years, the Rosensteels made their home in part of the museum building, and as a little girl, O'Neil slept above rooms that held cannon balls as big as grapefruits, tattered uniforms and bibles found in the pockets of dead soldiers. She and her siblings roamed the battlefields, ducking behind monuments for games of hide-and-seek and startling flocks of vultures. She was in charge of keeping her younger siblings quiet while her father lectured to museum guests. All the children learned his words by heart - particularly the text that accompanied the electric map, which one brother liked to recite at the dinner table. "As a child, I grew up knowing that the most important thing in our family was the museum," says O'Neil, 66, a retired schoolteacher from Guilford, Conn. "Our family life revolved around it. This is our history." The family sold the map, the museum and the land on which it sits to the National Park Service for $2.6 million in 1972. They donated the trove of artifacts -- which by then numbered more than 38,000. O'Neil says that few improvements have been made to the museum since her family sold it and much has been allowed to deteriorate. Outside the brick building, birds have built a nest in the final letter "r" in "Visitor's Center. Inside, black spots of chewing gum dot the dingy carpet, foam rubber pokes from ripped bench cushions and dim lighting makes it difficult to view the exhibits. The map room itself appears frozen in time. After paying $4 admission, visitors settle into slate gray folding chairs overlooking the concrete relief map. A portrait of O'Neil's father, captioned "Originator of the Map," hangs under the podium where he used to lecture. A spotlight hung above the painting has burned out. As the overhead lights dim, a sonorous male voice announces "You are located in the center of one of the most famous battlefields in the world." Orange and blue lights flicker on and off, representing the movements of Union and Confederate troops. For decades after Rosensteel's death, a recording of his voice accompanied the presentation, but it was replaced in the 1980s. Most of the script still follows his wording, though, and O'Neil, sitting beside her husband Tom in the darkened auditorium, recites passages along with the narrator. Rosensteel made an early version of the map in 1939, when he was 25, but wanted to create a bigger and better one for the battle's centennial. O'Neil recalls seeing her father crouched on his hands and knees, plotting dimensions on the map. He labored over recording the voiceover, she says, because he had already been weakened by the cancer that would claim his life. Visitors to the historic Gettysburg site, which includes acres of bucolic fields, hundreds of monuments, the visitor center and a circular painting of the battle known as the Cyclorama, have varied opinions on the map. Nathan Dapper, an American history teacher from Prior Lake, Minn. brought 45 of his students from Twin Lakes Middle School to see the map. "It does a really good job of giving the kids an overall view of a huge battlefield. When they go out to the battlefield they have a point of reference," he says. "If you have some historical context, it's not a field, it's sacred ground." Visitors J.D. Rymoff Jr. of Lebanon City, Pa. and Leslie Palmer, of Dover, Ohio, say that the map helped them understand the military strategy behind the battle. "It puts it in perspective," Rymoff says. But other visitors to the battlefield said they skipped the map because it seems outdated. Bente Dalsgaard of Denmark toured the battlefield with her husband and school age son on a misty afternoon. "Our son had already downloaded a video game of Gettysburg before we left Denmark. So you visualize it in a different way," she said. Jim Campi, a spokesman for the Civil War Preservation Trust praises plans for the new museum and visitor center, which he calls "one of the most exciting Civil War projects on the books right now," but says that he hopes a new home can be found for the map. Campi, who recalls seeing the map for the first time when he was a teenager suggests that the map could be displayed at an event commemorating the 150th anniversary of the battle in 2013. "It's antiquated, yes, but it's a great piece of Gettysburg history." The superintendent says that he would be willing to donate the map to a government agency or nonprofit, but so far, he says, no group with the resources to transport, maintain and display the map has stepped forward. The map could not simply be handed back to the Rosensteels, he says, because it's now federal property. O'Neil says she doesn't understand why the map should languish in storage. "I want the map to remain viable and I will do anything in my power to make that happen," she says. "I feel it's very sad and it's wrong that the map is going to be put in storage. This was my father's creation. This was his masterpiece." Additional Photographs: Barlow's Knoll and North Carolina monument © CivilWarLibrarian/Rea Andrew Redd. Well, when CWL received a first notice of the book, a stereotype was placed in a mental pidgeon hole. Probably a slim book published for the middle school-high school library. Probably lots of often published photographs. Maybe a 'Dummy's Guide to Abraham Lincoln'. But, there was the author's name: Gerald J. Prokopowicz. CWL is a listener and fan of Civil War Talk Radio and its host and faculty member of East Carolina University. Hmmmm. CWL placed the book on the release date radar screen and three months later sat down on a bench in Borders Book and Music the week the book arrived on the store's shelves. A half hour on the bench with the book, a Border's gift card, a Borders coupon and about $10 cash went into the decision. Prokopowicz doesn't write down to the reader of Did Lincoln Own Slaves; it is as if the reader is in a seminar on Lincoln and the author is the the discussion leader and instructor. Aristotle and Socrates would be pleased; Prokopowicz employs questions to bring the reader through the implications of the simplest question. What are the assumptions implied in the questions? How has this question been answered previously? What is the current scholarship on the question? As scholar-in-residence at the Lincoln Museum of Fort Wayne, Indiana for nine years, Prokopowicz probably had to handle this questions. The book is organized somewhat chronologically but also topically. In the sections 'Boy Lincoln,' 'Rail Splitter,' 'Springfield,' 'Politician,' 'Speaker' and seven other chapters, the author organizes the material in chronological fashion but also explores the implications of the questions and stretches outside the confines of the immediate dates. In the section 'Speaker' an articulate essay on Stephen Douglas brings the reader into the historical context of competitive politics. The answers to such questions as 'What was his greatest speech?' four pages long and contains a note and portions of Lincoln's remarks. Wonderfully, Prokopowicz conditions his answer with the remark "You already know about his presidential speeches, like the Gettysburg Address and the Second Inaugural Address . . ." and then presents 11 paragraphs of cogent description and discussion of the October 16, 1854 Peoria, Illinois speech addressing the Kansas-Nebraska Act. Chapter Six, 'President,' Prokopowicz begins with 'How old was Lincoln when he became president?' He deals with the answer in one declarative sentence and then a remark that Lincoln was the third youngest president up to that time. The chapter builds to longer answers in the middle then wind downs to shorter answers. The author leads the reader into an in depth discussion and out again. At the end of the each chapter, a section 'For Further Reading' not only suggests books in the field but also offers a brief historiographical discussion of the resources. With Ferguson's Land of Lincoln in 2007 and Prokopowicz's 'Did Lincoln Own Slaves?, both the general reader of biography and the dedicated reader of Lincoln books will have a Lincoln book in their hands. The Prestige, Christopher Priest, 404 pages, St Martins Press, October 1996, Blackstone Audiobooks, unabridged edition, October 2006. CWL, The Washington Post and Amazon.com agree on this one. The Washington Post called this "a dizzying magic show of a novel, chock-a-block with all the props of Victorian sensation fiction: seances, multiple narrators, a family curse, doubles, a lost notebook, wraiths, and disembodied spirits; a haunted house, awesome mad-doctor machinery, a mausoleum, and ghoulish horrors; a misunderstood scientist, impossible disappearances; the sins of the fathers visited upon their descendants." Winner of the 1996 World Fantasy Award, The Prestige is even better than that, because unlike many Victorians, Priest writes crisp, unencumbered prose. And anyone who's ever thrilled to the arcing electricity in the "It's alive!" scene in Frankenstein will relish the "special effects" by none other than Nikola Tesla. "Priest, one of Granta's Best Young British Novelists (1983 list), has not been overproductive since he made a small reputation with The Affirmation and The Glamour, published here more than a dozen years ago. His new novel (the title of which refers to the residue left after a magician's successful trick) is enthrallingly odd. In a carefully calculated period style that is remarkably akin to that of the late Robertson Davies, Priest writes of a pair of rival magicians in turn-of-the-century London. Each has a winning trick the other craves, but so arcane is the nature of these tricks, so incredibly difficult are they to perform, that they take on a peculiar life of their own?in one case involving a mysterious apparent double identity, in the other a reliance on the ferocious powers unleashed in the early experimental years of electricity. The rivalry of the two men is such that in the end, though both are ashamed of the strength of their feelings of spite and envy, it consumes them both, and affects their respective families for generations. This is a complex tale that must have been extremely difficult to tell in exactly the right sequence, while still maintaining a series of shocks to the very end. Priest has brought it off with great imagination and skill. It's only fair to say, though, that the book's very considerable narrative grip is its principal virtue. The characters and incidents have a decidedly Gothic cast, and only the restraint that marks the story's telling keeps it on the rails." "Notions of doubleness pervade this tale of a feud between the families ot two Victorian-era magicians. Alfred Borden and Rupert Angier have spent their careers trying to sabotage one another. When Borden ups the ante by developing a seemingly impossible trick in which he is moved across the stage in a unimaginable short time, Angier responds by enlisting inventor Nikola Tesla to build a turn-of-the-century version of a Star Trek-like transporter. The magicians' story is framed by that of two descendants, affected by the feud in ways they are only beginning to fathom, who meet at the Angier family's desolate country estate. Mixing elements of the psychological novel with fantasy, this is an inventive, if somewhat far-fetched, British neo-Gothic." "Priest's remarkable novel won the World Fantasy Award in 1996. Now it's been produced as an audiobook every bit as remarkable. Simon Vance provides the voices of two warring professional stage magicians at the turn of the nineteenth century: Alfred Borden and Rupert Angier. The entire novel is told through journal entries by these two prestidigitators. Hearing Vance mellifluously pronounce words like "prestidigitator" as if they were part of his normal speech makes the book worth the time, but there is so much more. These characters are shrouded in mystery from the very first minutes, and Vance expertly portrays these two men as their lives (and their tricks) are slowly revealed. Winner of AudioFile Earphones Award, 2007 Audies Award Finalist"
CWL: You may have seen the film and enjoyed it; CWL did. So much so, and following the truism that the book is better than the film, CWL found an unabridged reading of The Prestige produced by Blackstone Audio. As much as there is in the film, there is twice as much in the novel. Enjoyment of the book was not diminished by having seen the film. There are additional characters and plot twists. Of course, when the novel introduced Nicholas Tesla, I didn't picture a black and white photo of Tesla but the film's representation of him, David Bowie. Black soldiers in the American Civil War were far more likely to die of disease than were white soldiers. In Intensely Human, historian Margaret Humphreys explores why this uneven mortality occurred and how it was interpreted at the time. In doing so, she uncovers the perspectives of mid-nineteenth-century physicians and others who were eager to implicate the so-called innate inferiority of the black body. 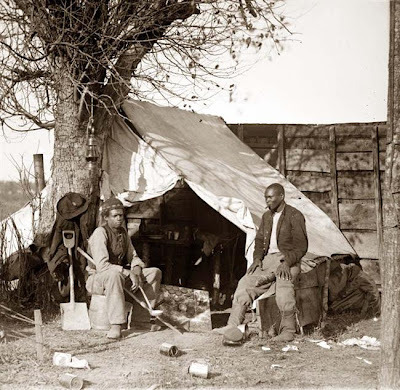 In the archival collections of the U.S. Sanitary Commission, Humphreys found evidence that the high death rate among black soldiers resulted from malnourishment, inadequate shelter and clothing, inferior medical attention, and assignments to hazardous environments. While some observant physicians of the day attributed the black soldiers' high mortality rate to these circumstances, few medical professionals—on either side of the conflict—were prepared to challenge the "biological evidence" of white superiority. Humphreys shows how, despite sympathetic and responsible physicians' efforts to expose the truth, the stereotype of black biological inferiority prevailed during the war and after. Margaret Humphreys is the Josiah Charles Trent Professor in the History of Medicine, a professor of history, and an associate clinical professor of medicine at Duke University. She is the author of Malaria: Poverty, Race, and Public Health in the United States, also published by Johns Hopkins. Clash of the Zealots, Michael Kazin, New York Times, March 23, 2008, a review of the new book Throes of Democracy:The American Civil War Era, 1829-1877, Walter A. McDougall, illustrated, indexed, 787 pp. Harper/HarperCollins Publishers. $34.95. For historians of the United States, the middle years of the 19th century present an exceptional challenge. How does one capture the meaning of a half-century in which Americans elected first Andrew Jackson and, later, Abraham Lincoln president; fought the Mexican War and the Civil War; flocked to millennarian creeds; joined or clashed with movements for the rights of black people and women and workers of all races; endured the shift from a decentralized agrarian society to a united, industrial powerhouse; and lived in a country that more than doubled in territory and quadrupled in population? The titles of major works attempt to convey the outsize significance of the times. “The Rise of American Democracy” and “The Market Revolution” produced “The Second American Revolution.” “Reconstruction: America’s Unfinished Revolution” followed “The Battle Cry of Freedom.” The number of rich, absorbing narratives about this period easily outstrips the quantity of those devoted to any other slice of the nation’s past. Walter A. McDougall is not impressed. He begins Throes of Democracy: The American Civil War Era, 1829-1877, his own fat survey, with a fire in 1835 that destroyed much of Lower Manhattan and concludes it with an admiring portrait of the prolific writer and editor Orestes Brownson, who abandoned his youthful radicalism for a steadfast conviction that the United States was doomed unless its citizens embraced the eternal truths of the Roman Catholic Church. While McDougall, a professor of history at the University of Pennsylvania, covers all the major events and social forces of the era with great energy and wit, his tone is relentlessly ironic. All the sound and fury signify little to him besides Americans’ extraordinary talent for wrapping their bloodletting and money-making in thick layers of moralistic pretense. Such judgments, like his regard for Brownson, reveal the author’s particular conservative worldview, an old-fashioned one closer to that of Edmund Burke than of Ronald Reagan (who was fond of quoting Thomas Paine’s line “We have it in our power to begin the world over again”). McDougall does not deny that the persistence of racial bigotry and urban poverty betrayed the ideals trumpeted ad nauseam by politicians and evangelical preachers. But all the mighty efforts to forge a more equal, more humane order strike him as overblown and oversold. The result is the most unromantic narrative of 19th-century America I have ever read. McDougall is a Vietnam veteran, which may help explain why he is most sober when writing about war, both the war with Mexico and the bigger one between North and South. He goes beyond the now standard argument that the earlier conflict was an act of raw conquest justified by the messianic promise of Manifest Destiny. In McDougall’s mordant rendering, it was “the climactic achievement of the republic founded in 1776” because it exposed the notion of a peaceful democracy sharing its gifts with the world to be “a pretentious fraud.” The army that claimed the inglorious victory was a sorry lot as well. Large numbers of recruits “mutinied, deserted, malingered, rebelled and died.” And seven times more soldiers died away from the battlefield, mostly of disease, than in combat. McDougall’s similar attitude toward the Civil War and its aftermath may elicit several gigabytes worth of academic controversy. He has no patience for the view that the fight to preserve the Union was justified because it led to the emancipation of four million African-Americans. In his view, zealots on both sides stoked an inferno of mistrust, as “each section’s rational measures of self-defense looked to the other like mad provocations.” The messy, incomplete Reconstruction that followed a war in which more than 600,000 died only increased the hatred white Southerners felt toward their former slaves. McDougall scoffs at those who praise Reconstruction as “a simple morality play” between crusaders for racial equality and their enemies. Instead, he compares it to the American invasion of Iraq, an adventure that began with high ideals and may end as an embarrassing failure. The analogy is flawed: former Confederates had far more in common with Unionists than Iraqi insurgents do with American occupiers. But by proposing it, McDougall affirms his fundamental distaste for any attempt to remake one’s society, or any other. Like Mark Twain, a rare 19th-century figure whom he admires, McDougall mocks “in suitably palatable fashion” the myth that Americans were a decent people eager to share the blessings of democracy. Because he writes exceedingly well, this makes for a history that is bracing to read, even if one questions its premises and conclusions. Yet the conception of the work is a good deal less satisfying than its parts. “Throes of Democracy” is the second installment in a projected multivolume history of America from its colonial birth pangs to the present. McDougall began the first volume, “Freedom Just Around the Corner: A New American History, 1585-1828,” with the arresting statement that the United States was “the central historical event of the past 400 years.” It is, he declared, “the mightiest, richest, most creative civilization on earth — a civilization that perturbs the trajectories of all other civilizations just by existing. Not only was the United States born of revolution; it is one.” But to interpret the Civil War era as a history of self-deception on a grand scale ends up making that civilization look rather small. It’s useful to have a rebuttal of the progressive views most contemporary historians hold, and McDougall does so with verve, if not always cogently. However, one can find mendacious and deluded souls aplenty in any land, during any era. The critical events that took place at the heart of the 19th century did much to transform the United States into the power for good and ill it subsequently became. Depicting most of the people responsible for these radical changes as hypocrites and fools undermines McDougall’s own argument. To debunk what Americans thought they were doing does not help us understand the meaning of what they did accomplish. McDougall may view the United States as a revolutionary success, but his image of those pivotal years looks more like failure. Michael Kazin’s most recent book is A Godly Hero: The Life of William Jennings Bryan. He teaches history at Georgetown University. Study: Gettysburg Draws 2.9 Million Visitors Each Year, Erin James, Evening Sun Reporter, March 22, 2008. 2.9 million - It's the number of light years between Earth and nearby galaxy M33, the number of people who watched the 100th episode of One Tree Hill last week and the number of votes Green Party candidate Ralph Nader received in the 2000 presidential election. When it comes to Gettysburg, 2.9 million is also the average number of people who visit town every year. That's news to the Gettysburg Convention and Visitors Bureau, which this week released the findings of a 2007 study on Gettysburg tourism. The first-time study, conducted by the California University of Pennsylvania's Tourism Research Center, explores the demographics of people who visit the famous town and the factors that drew them there in the first place. One way researchers collected data was through a survey form, filled out by and collected from more than 1,200 visitors. Other methods of collecting information, such as checking local hotel occupancy rates, gave researchers the ability to calculate larger numbers, like the figure of 2.9 million visitors per year. The study's findings are an invaluable resource for the Visitors Bureau, which until now could only guess how many people were visiting the area, where they were coming from and how satisfied they were with the experience. "This is the first time that we've been able to put a number to the visitation for Gettysburg," said Carl Whitehill, spokesman for the Visitors Bureau. What that means for the Visitors Bureau - and the community in general - is the ability to better market and advertise Gettysburg as a tourist destination, Whitehill said. Everyone knows tourists go to the battlefield, which reportedly attracts 1.7 million tourists every year, according to the Gettysburg National Military Park. What was unknown is how many tourists were taking advantage of attractions elsewhere. According to the results of the 2007 study, the borough is attracting at least a million more people than the battlefield alone. "That means they're going other places," Whitehill said. "People are visiting other attractions in Gettysburg." Upon taking the position as president of the Visitors Bureau two years ago, Norris Flowers said he realized the bureau needed to establish some benchmark tourism numbers in order to effectively gauge the success of its marketing campaigns later on. "It was very apparent that you base your strategies on research," Flowers said. "And we had no research." Here's a surprising statistic. According to the Tourism Research Center's study, more women visited Gettysburg than men last year - 52.1 percent compared to 47.9 percent of the survey's respondents. But consider the fact that Boyd's Bear Country and the Gettysburg Factory Stores were two of 12 survey areas, and the statistic makes more sense. Gender is just one of many ways the study breaks down the demographics of Gettysburg tourists. Of particular interest to the Visitors Bureau are the study's findings on visitors' length of stay, their satisfaction with the experience and how often they return to Gettysburg. On average, visitors stay in town for 1.23 days - nearly three times longer than previous research indicated. A 1994 survey, conducted through the park service, indicated that visitors stayed an average of nine hours. 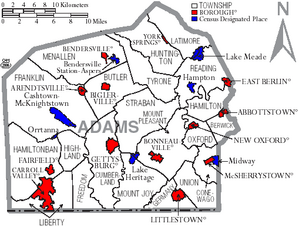 Repeat visitation is also significant in Gettysburg, according to the 2007 study. About 55 percent of those surveyed said it was not their first time in town, and, on average, visitors said they were "likely" or "very likely" to return again. And most rated the experience between "good" and "excellent." Nearly all said they would recommend a trip to Gettysburg to others. As far as demographics go, the "typical" Gettysburg tourist would be an American 47-year-old woman who has earned a bachelor's degree and makes between $50,000 and $59,999 a year. More in-depth analysis of the study's results is ongoing, Whitehill said. Last year's tourist season was the first one studied by the California University of Pennsylvania's Tourism Research Center, but it won't be the last. But this time, researchers will not focus solely on Gettysburg. 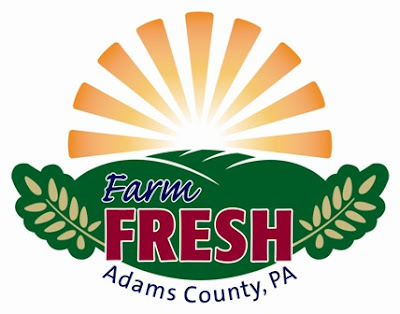 The whole of Adams County will be included in the 2008 study, Whitehill said. "That number will obviously be higher than Gettysburg even," he said. Tourism is the top money-making industry in the county, where more than $310 was spent by visitors in 2005, according to the bureau. The bureau itself spends about $800,000 every year to market the area as a tourist destination. And the plan is to use the study's findings as a way to attract more tourists and dollars to Gettysburg in the future, Whitehill said. Flowers said he expects tourism numbers to increase this year, with the opening of the new Visitors Center and the Wills House. With a benchmark already established, the bureau can turn the study's findings into a marketing tool, Whitehill said. "We'll use it locally to reinforce that tourism is the number one industry in the county," he said. Following are some findings of a 2007 study about tourism in Gettysburg conducted by California University of Pennsylvania's Tourism Research Center. Researchers conducted surveys of 1,281 tourists throughout Gettysburg at different times of year. * Of all visitors, 97.98 percent were from the United States. International visitation came mostly from the United Kingdom and Canada. * The average age of adult visitors was 47. Children under 18 were not included in the study. * Of those surveyed, 55 percent said the visit was not their first trip to Gettysburg, and 45 percent said they were visiting for the first time. * In terms of length of stay, 51.8 percent said they were staying one day or less, 23.7 percent were staying one night, and 24.5 percent were staying more than one night. * On average, visitors said they spent $292.45 on their trip. Transportation cost the most at an average of $127.19. * Of those surveyed, 88.7 percent said they visited the Gettysburg National Military Park on the same trip. * On average, respondents rated the likelihood of their returning to Gettysburg between "likely" and "very likely." * Nearly 100 percent said they would recommend Gettysburg as a destination to others. News---Uncle Billy! Please Come Home! After Decades Away, Restored General Sherman Marches Home, Alan Johnson, Columbus Dispatch, March 20, 2008. Grime and varnish marred the painting of Gen. William T. Sherman, left. The restored work will be returned to the Sherman museum in Lancaster. Were it not for the sharp eye of a member of the Fairfield Heritage Association, General William Tecumseh Sherman might still be lost after nearly 26 years away from home. Instead, a rare original portrait of the Civil War general, known affectionately to his troops as "Uncle Billy," will return to the Sherman House Museum, the Sherman family home in Lancaster, in a March 29 ceremony. The painting, which is about 150 years old, was among dozens of items, almost all of them connected to Sherman himself, that were stolen from the museum in 1982. The portrait was recovered last fall after a museum volunteer saw it in a Garth Auctions catalog. The Delaware, Ohio, art auctioneer and appraiser listed the selling price at $800 to $1,600, but turned it over to the Ohio Historical Society after learning it was stolen. Where was the painting from 1982 to 2007? No one knows for sure. The woman who commissioned the painting to Garth Auctions for sale had it for only a short period of time and was unaware that it had been stolen, officials said. Barry Bauman, the Chicago art conservator who spent a month and a half repairing and restoring the painting, said he's pretty certain it was in storage. "The portrait was layered with a dirt and grime film, a slow buildup as if it was in long-term storage," he said. "It was so badly treated in the past. … There was a yellow varnish on it, and the background had been almost completely repainted." Bauman, who formerly worked for the Art Institute of Chicago, did the work on the Sherman painting free. He figures it was a $10,000 job, although no official value has been placed on the restored work. "The conservator is invisible," he said, "but it's a lot of fun to be behind the scenes." The painting belongs to the Ohio Historical Society, which is giving it back to the Sherman museum. It is not signed and contains no date, but it apparently was painted just before the Civil War. Laura Bullock, director of the museum, said whoever stole the painting and other items in 1982 did some homework. Only items personally connected with Sherman -- the painting and his chair, for example -- were taken from among hundreds of Civil War artifacts. 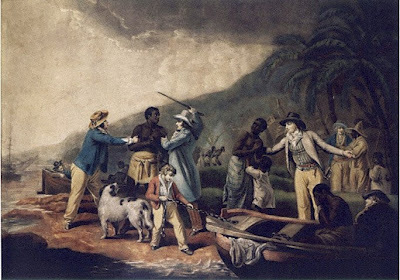 The painting, although unsigned, is "precious to us," Bullock said. The museum has two other paintings of Sherman, one in military uniform and the other when he was 68, three years before his death. Dark Matter: The Private Life of Sir Issac Newton, Philip Kerr, Crown Publishers, 2002. $14.00 paperback. 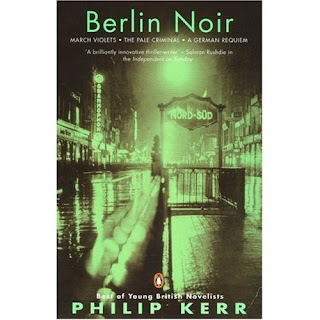 I have long been a fan of Philip Kerr's work with both historical and contemporary settings. 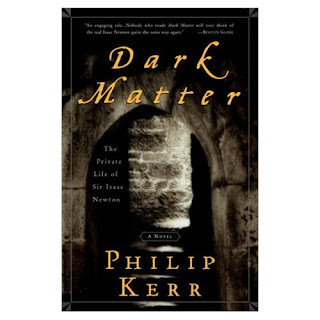 Dark Matter is set in the 1697 during King William's war with France. The English currency in coin needs to be reorganized and re-minted because it has been shaved so often. Coins have been cut into pieces of eight and the troops need to be paid with good hard coins. Kerr sets the mystery in the Royal Mint which is adjacent to the Tower. Isaac Newton, leaves the academy for a patronage position as Warden of the Royal Mint and discovers several plots to either slow production of the coins or incite violence towards the Catholic minority, which may have sympathies for King Louis of France. Intercepted letters in code and murders plague the Royal Mint. Kerr's deft hand depicts both the historic situation and the material world of late 17th century England without upsetting the development of plot and character. The hallmark of good fiction with an historic setting is 'showing not telling.' There are no tiresome paragraphs that appear to be paraphrased encyclopedia entries. The reader comes away with an entertaining story and wonderful historic details. Taverns, soldiers' quarters, diet, 'night soil' collection and the intricacies smithing coins and domestic politics are described in the course of the characters touching on them. Kerr's knowledge of the 17th century English domestic setting is the background not the foreground of the story. 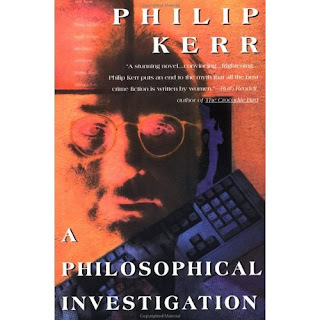 CWL further recommends Kerr's detective series that is set in Germany during the decades before, during and after WWII. The protagonist of the series is Bernie Gunther, a Berlin police detective who avoids membership in the growing Nazi Party, works occassionally with the conquering Russians and is barely tolerant of the conquering Americans. Throughout the series Gunther's reflections upon Germany and the Nazi regime have the ring of truth as the detective struggles to keep his notion of justice intact and pragmatically keep his position as a policeman. 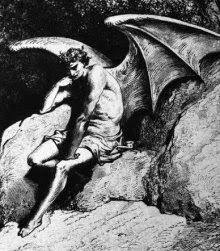 At times he fails to do both but makes peace with himself and those, alive and dead, around him. There are five books in this 'Berlin Noir' series. One of CWL's favorites with a contemporary setting is Dead Meat that set in the Russia during the period immediately before the glasnost era. A Philosophical Investigation, which is set in the near future of 2013 and deals with a person, who has be labelled as having a dispositon of a serial killer, deciding that if indeed that what he is then his victims will be serial killers. Readers who like grappling with the implications of technology, or think about alternatives to capital punishment, or enjoy handling questions of criminality from a philosophical direction will enjoy A Philosophical Investigation. Three hours long, 200+ true and false, multiple choice, matching, short answers, longer answers, a map, photographs of monuments and generals and a grade curve in which anything less than 94% fails. About 125 take the test and about two-thirds have taken it before. Offered every other even year in December. Yes, its the Gettysburg Licensed Battlefield Guide Exam. My first test was in 2006 and my next one will be in 2008. If I recall correctly I missed about forty and got about an 82%; the letter is somewhere closeby. So, what I am doing for the next one? Starting earlier than I did the first time I took the test. I started in August and took the test in December. What will I be reading and making flashcards from? I'll have the history of the park, essential maps, and monument photo books' and Pennsylvania Cable Network's Gettysburg Battlewalks' dvd bibliogrpahica citations posted soon. Today's posting is not being made from my personal library. 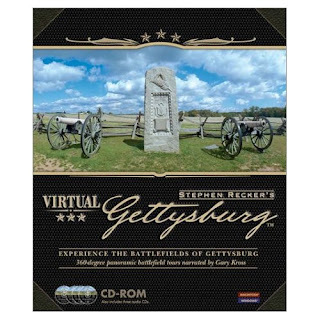 Also, I'll be working with Stephen Recker's Virtual Gettysburg which is the creme de la creme of battlefield tours. Gary Kross is the tour guide and Recker has about 20 360 degree photos of the battlefield. This photos are navigable, which means you can, for example, stand near the McPherson Barn and see Oak Hill, the Willoughby Run hollow, Herbst's Woods, Seminary Ridge, and the borough. 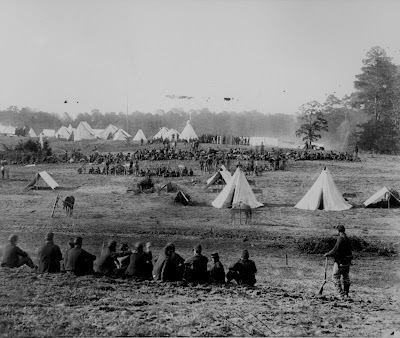 Virtual Gettysburg has the most period photographs of the battlefield and the monuments (both at their contruction and current day) than any other format, book/compact disk/wwwsite, that I know of. What will I be doing with all of this? At the end of March, I'll be in Lynchburg, VA at Liberty University's Gettysburg symposium; the second week in April I'll be in Gettysburg at the GNMP's symposium.Well, I've already read everything once or twice in my life time (I see retirement on the horizon). Gettysburg: A Study in Command--once in high school and once in college, ditto with Catton's Glory Road. In August 2006, I created flashcards on www.flashcardmachine.com and by December had about 1,000. If you want to look at my flashcards, then email me. Anyone looking for a study buddy?